Calling all chicken lovers in Kuala Lumpur! Where can you find tender flame-grilled chicken covered with a unique sauce that’s tailored to your spice preference in Malaysia? That’s right, we are referring to the one and only Nando’s! We would love to head down to the nearest Nando’s with our friends and catch up over good chicken covered in our favourite sauce. Fortunately for you today, you can get your fix of delicious Nando’s PERi-PERi Chicken to your doorstep via GrabFood’s delivery service. Nando’s unique PERi-PERi sauce has its origins from the rich, fertile soils of Southern Africa, where the African Bird’s Eye Chillies (or PERi-PERi) is known to grow. The full-bodied flavour of chilli captured the hearts of the Portuguese, who added a squeeze of lemon and a dash of garlic to create the first PERi-PERi sauce, and from then on history was made. Not sure which spice level to get? Fret not, because the PERi-ometer comes in handy here! Nando’s PERi-ometer is a handy guide consisting of five heat levels ranging from the harmless Plain…ish to an over-the-top heat explosion in the Extra Hot flavour. If you want to stay on the safe side, opt for the Garlic flavours that sees your chicken marinated in PERi-PERi but grilled with no added spice. Lemon & Herb offers a hint of heat coupled with a punch of flavour. Take it up a notch with Mild, which is at a spicy enough but still bearable level. The Hot level is where things really heat up so proceed with caution. Challenge Extra Hot at your own risk! 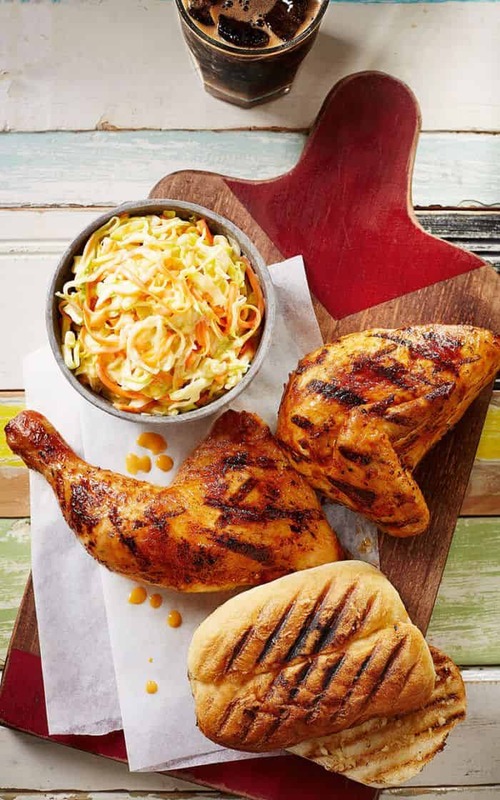 Nando’s is famous for its legendary Portuguese flame-grilled chicken that’s highly addictive. 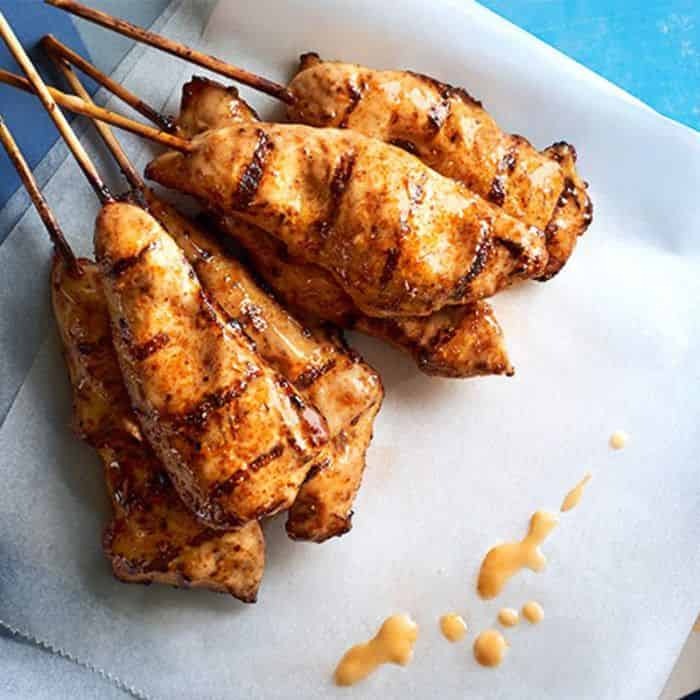 Excess fat removed from fresh chicken and are marinated in a sauce containing no preservatives, colourants or artificial flavours for 24 hours to allow the flavour of the spices to permeate down to the bone. 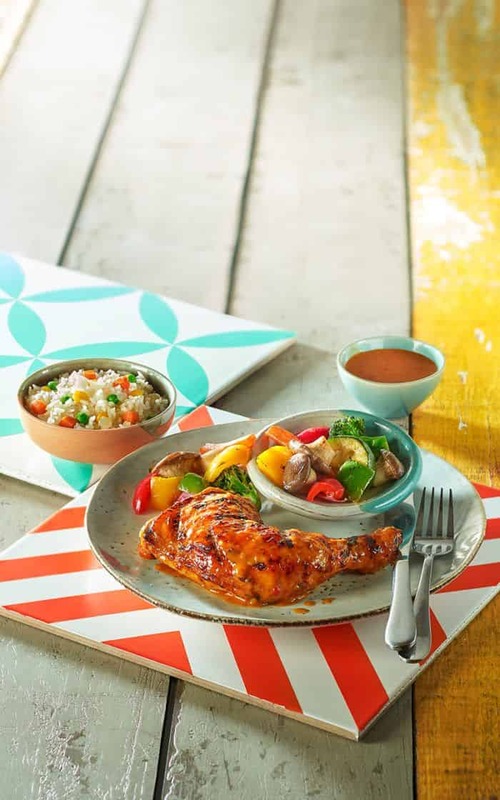 The chicken is then flame-grilled, which further reduces the fat content, and basted evenly with PERi-PERi sauce to keep it succulent and flavourful. The ¼ chicken, ½ chicken, and even a whole chicken are available for order. Other chicken options include chicken wings that come in 5 or 10, the Chicken Butterfly (juicy double chicken breast with crispy skin) or the fun Chicken Roulette (10 wings in various levels of PERi-PERi heat). 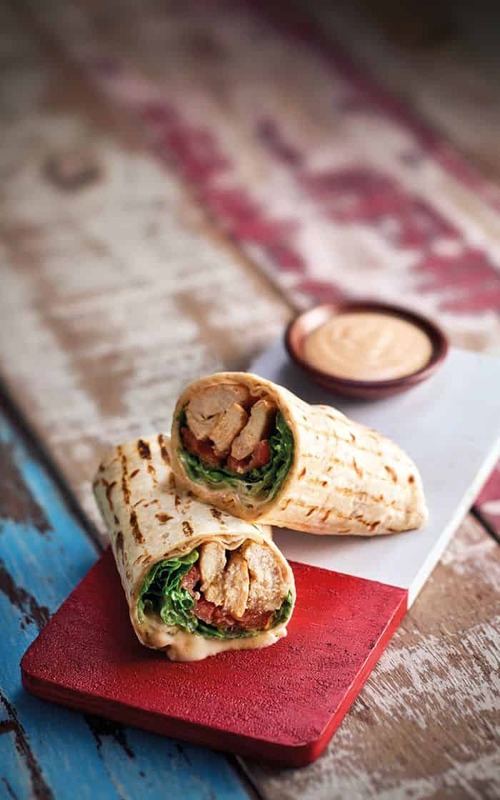 Alternatively, complement your chicken as a filling in a toasted Portuguese roll, wrap or pita, together with fresh veggies. Choose from sides including PERi-PERi Chips, PERi-PERi Wedges, Corn on the Cob, Coleslaw, Mediterranean Rice, Spicy Rice and Garlic Bread to round off your meal. If you are feeling a healthier taste, the Caesar Salad with Chicken would be sure to satisfy that craving. Nando’s sharing platters will satisfy everyone, especially when you are with good company!. These tasty bundles fit for sharing come in various portions for everybody to enjoy, regardless of how big or small your party may be. The Full platter consists of a whole chicken, plus a choice of 2 large sides or 4 regular sides, perfect for a small group of 2 to 3 people. For a large gathering of about 4 – 6 people, the Jumbo platter consisting of 2 whole chickens and 5 large sides is the ideal option for you! Don’t you love it especially when you taste the tingle from the spices as you savour the tenderness of Nando’s PERi-PERi chicken? 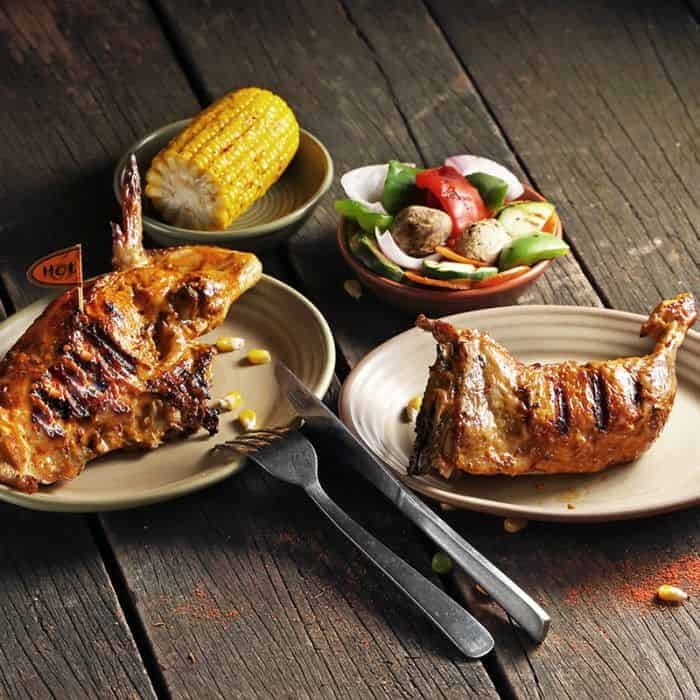 Order from Nando’s Kuala Lumpur today with GrabFood’s food delivery app and let the feasting of grilled chickens begin! Join the healthy eating trend and read on to find out 5 affordable salad places that you can deliver from in Kuala Lumpur. Now you know that ordering a burger has never been easier with Grabfood’s burger delivery service, start satisfying your burger cravings today! Here are the top 4 spots to enjoy Mookata in Kuala Lumpur! Be sure to follow us on the GrabFood blog to find out where the delicious food places are at for your next meal!